A clean kitchen equals a clear mind. You know what a clear mind means? More focus and concentration on your cooking, which leads to happy nourished tummies and a satisfied family. 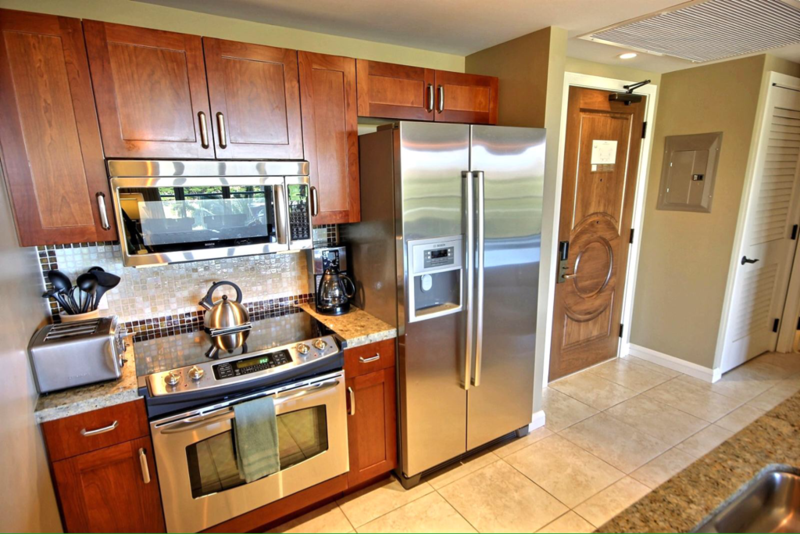 Hawaii Home Cleaners has the experience and cleaning power to clean and maintain your kitchen. All you have to do is concentrate on the cooking just like a master executive chef cooking for a busy booked night. It may be hectic, but you don't have to worry about the clean up, we'll take care of that. Just don't ask us to cook, that's not our passion. 1. Kitchen cleaning. Includes oven, stovetops, countertops, sink, cupboards, dishwashing machine, refrigerator*, backsplashes, vents, kitchen lights, and things in between. (Trust us we won't clean out your food). 2. We don't just clean. We don't just clean kitchens. You don't just rinse your china and silverware right? (We hope). You wash and SANITIZE them for later safe use. That's what we, Hawaii kitchen cleaners, do as well, sanitize your kitchen so that it's safe to prepare and cook food for your family. 3. We always clean up after ourselves. Our services are not limited to the designated area to be cleaned. We make sure any area we accessed is clean when we leave. It's our Aloha standard. Call us today at (808) 425-9145 to schedule your Hawaii kitchen cleaning service. Whether it's a one-time project, weekly, monthly, bi-annually, once a year, light or heavy, we'll get it done with ALOHA!